Christmas: the time of year to relax. Wrong! I’ve not had a year out of education yet so Christmas time for me is revision time for January exams! I do try to balance fun and festivities with work. Because I’ve been doing this for years, I think I’ve gotten into a routine before I start any studying so I thought I would share my words of wisdom with you all! 1. Get a diary before you do anything else. Before you start your revision, buy a diary and write everything you plan on doing over Christmas. 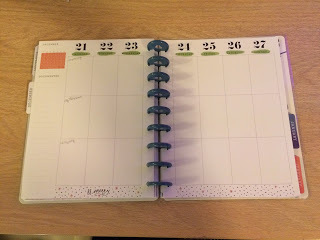 Jot down any birthdays, parties, work shifts, family gatherings, days out, literally anything you have already planned. This will show you how much free time you have and how much time you will spend revising. Don’t forget to schedule in some personal time every day, whether you spend a whole night watching films or just a spare half an hour to put on a face mask or paint your nails. 2. Write down every topic you need to study. If you have a bunch of exams, write down every subject as a heading and then jot down every module within it. For me I have 5 exams over the course of two weeks but only two have a lot of Powerpoints to go back over. 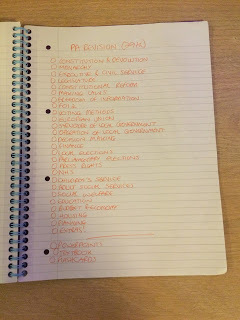 If you list them, you can figure out how many topics you need to cover every day to make you get it all done! 3. Get essays done first before starting exam revision. If you get assignments written up first, you don’t have to worry about them for the entire Christmas break! It’s less painful is you just get it done asap! 4. When you’re travelling, do some revision then! As long as you’re not driving, trains are the perfect commute to get work done on. Flashcards are great for train journeys because they don’t take up much room in your bag either or you could catch up on any reading you might have. 5. Don’t study one subject all day long. Switch it up so you don’t get bored! Try revising one subject in the morning and one in the afternoon. If you have quite a lot of exams, try revising an hour on each. 6. If you’re at uni and have tonnes of work still to do, go back early! Make use of the library before the majority of students get back: it will be empty, quiet and you’ll manage to get plenty of desk space or a computer! When I was at uni, I lived in the library during holidays such as Christmas and Easter so I didn’t get distracted at home! 7. Take regular breaks. Don’t revise for hours on end; you’ll get bored and lose focus. I find that revising in 50 minute blocks and then taking a 10 minute break, either to text a phone, grab a snack or stretch my legs, keeps me awake and alert. 8. Take proper care of yourself. It’s easy to forget about your health when you’re so focused on work and revision. Drink plenty of water, fit in a workout (I do a workout before lunch when I’m revising or after tea) and make sure you get a sleeping pattern sorted. (6-8 hours people!) Don’t stay up for an all-nighter because t’s just not effective! 9. Choose a study spot that works for you. For me, I like being at home at my desk but I do love mixing it up and going to a coffee shop in town for a treat. When I was at uni, going to the library kept me focused on my revision and not watching TV! 10. Make it as fun as possible. I love to make flashcards with coloured pens or create mind maps on coloured paper. Colour-coordinating certain words actually helps me to remember key facts!